William Benbow was born in Manchester in 1784. As a young man he became a Nonconformist preacher with radical political opinions. A shoemaker, Benbow became one of the leaders of the reform movement in Manchester. Benbow moved to London where he helped William Cobbett on the Political Register. In 1817 he heard that the government planned to have him arrested for sedition. Unwilling to spend another period in prison, Cobbett fled to the United States. For two years Cobbett lived on a farm in Long Island where he wrote Grammar of the English Language and with the help of Benbow continued to publish the Political Register. In an effort to stop the Political Register from being published, the authorities arrested Benbow and he was tried and found guilty of seditious libel. When Benbow was released from Cold Bath Field Prison in London in 1820 he continued to work for William Cobbett. Benbow also wrote a series of pamphlets called Crimes of the Clergy. Benbow was once again arrested and imprisoned for seditious libel. In 1831 Benbow joined the National Union of the Working Classes, where he joined forces with two other radical publishers, James Watson and Henry Hetherington. He also developed a reputation as an orator at the Rotunda, a speaking venue in the Blackfriar's Road, owned by Richard Carlile. Benbow was a supporter of universal suffrage, annual parliaments and the secret ballot. However, Benbow did not believe the House of Commons would ever willingly vote for these reforms. He believed that the only way that equality would be achieved was through a violent revolution. It was at the Rotunda that Benbow first advocated his theory of the Grand National Holiday. Benbow argued that a month long General Strike would lead to an armed uprising and a change in the political system. Benbow used the term "holiday" (holy day) because it would be a period "most sacred, for it is to be consecrated to promote the happiness and liberty". Benbow argued that during this one month holiday the working class would have the opportunity "to legislate for all mankind; the constitution drawn up... that would place every human being on the same footing. Equal rights, equal enjoyments, equal toil, equal respect, equal share of production." Benbow's theory was published in a radical newspaper, the Tribune of the People and in a pamphlet, Grand National Holiday (1832). Benbow joined with radical publishers such as Henry Hetherington, John Cleave and James Watson in refusing to pay stamp-duty on his pamphlets. As part of this campaign Benbow published his pamphlet Censorship Exposed (1837). Benbow eventually convinced several leading Chartists, including George Julian Harney of the wisdom of his Grand National Holiday strategy. 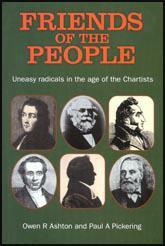 At the Chartist National Convention of 1839 it was decided to call for a General Strike on 12th August, 1839. 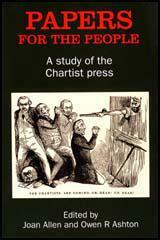 Benbow and Harney travelled around England trying to persuade Chartist members to join the strike. Eight days before the strike was due to start, Benbow was arrested and the strike was called off. At his trial for sedition at Chester in April, 1840, Benbow spoke for ten hours in his defence, but he was found guilty and sentenced to sixteen months' imprisonment. William Benbow died in prison in 1841.